I have an awesome mom. 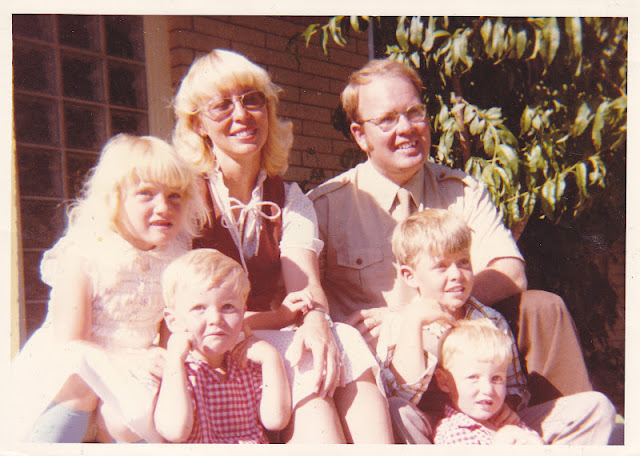 All moms are pretty fantastic but did your mom make you matching pants for you and your younger brother? Don't forget the matching hair bow. Okay, sure maybe your mom could sew and bake, BUT (I am determined to win this Best-Mom-Contest), did your mom own her own motorcycle? Okay, okay, maybe your mom sewed, baked and road a motorcycle, it's not unheard of, but did she spend her weekends in a cave? My parents were cavers. On the weekends they explored caves and surveyed them. As children we tagged along on the easy caves. I loved finding tight spaces and squishing myself into the smallest cracks. I'm probably 8 here in the red helmet, with a family friend and his sons. What is it about stickers?Doctors obvious know their power since every doctor's office hands them out like bandaids or candy. I have a little girl who is a people pleaser, all I have to do is ask, and she will do, my little boy on the other hand has no desire to please . . . BUT for a sticker he will do anything! 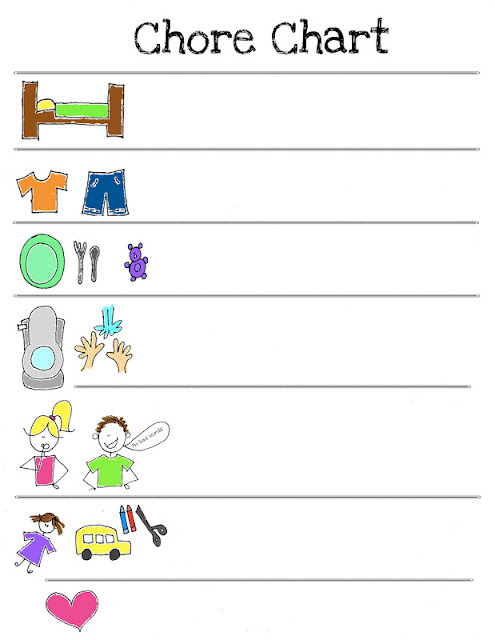 Here is a chore chart I put together for my little ones. Hopefully the pictures are self explanatory, but if not . . .